Glorious views on the way to Vindoux. Another road trip to be enjoyed with our little guy. 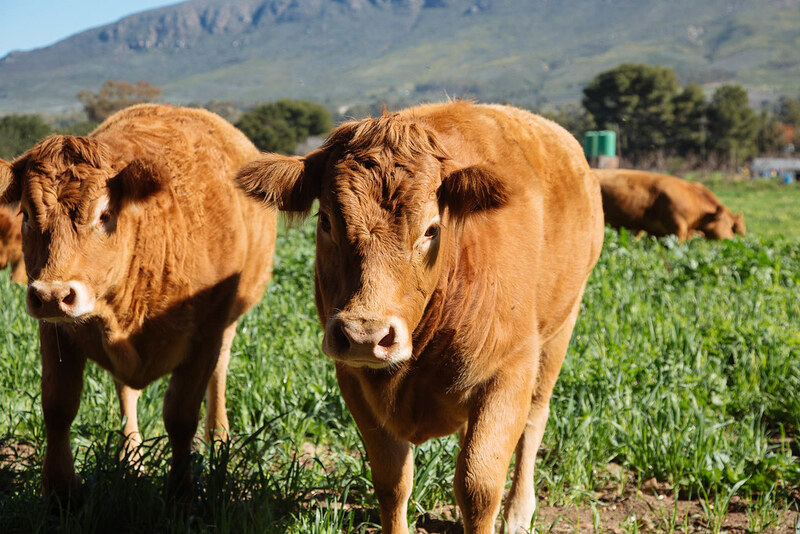 There is something so deeply relaxing about staying on a farm. 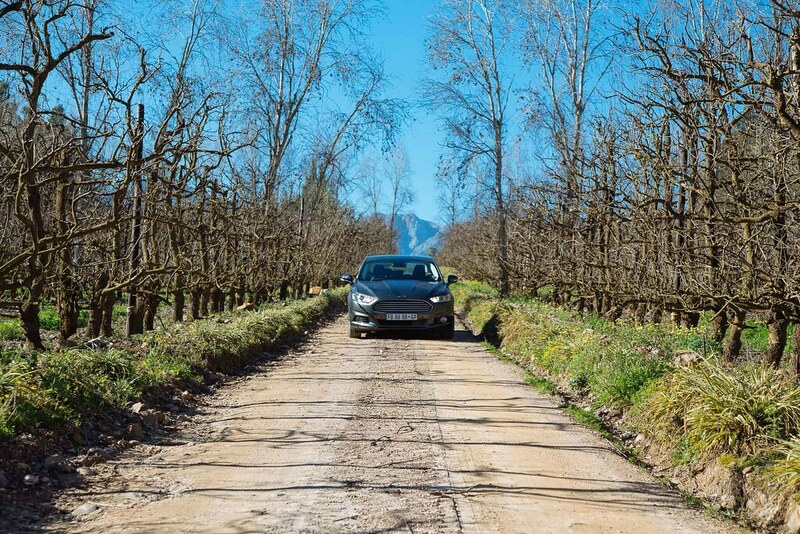 You never have to move too fast along the dirt roads, you can walk slowly and allow your hands and eyes to skim over the vineyards as you breathe in the fresh air. 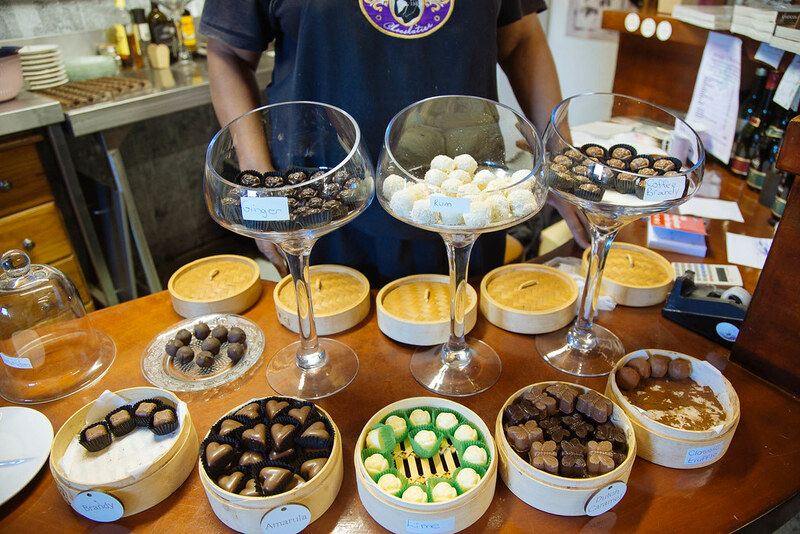 Vindoux is the type of place you don’t really have to leave if you don’t want to. 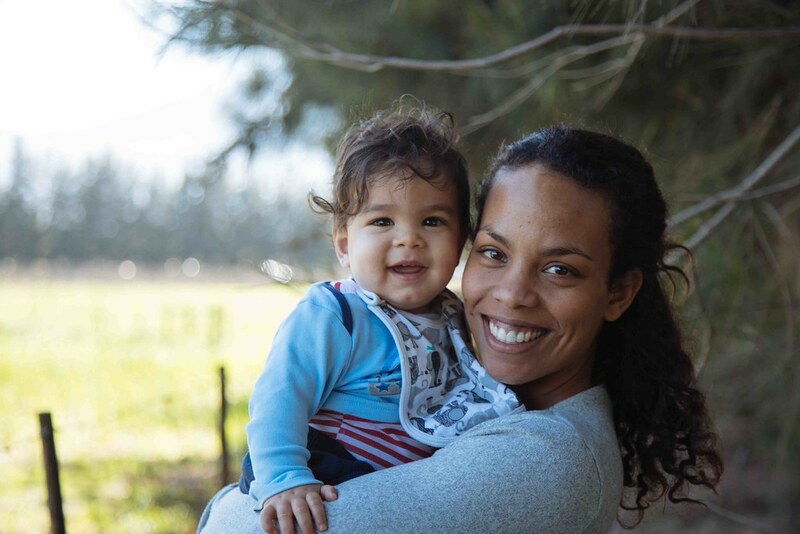 We played on the grass with Caleb, took him on walks in the carrier past the tree houses and through the small patches of vineyards. We sat on the wooden lookout deck which peaked out over the area where the zebra, wildebeest and springbok munched grass. 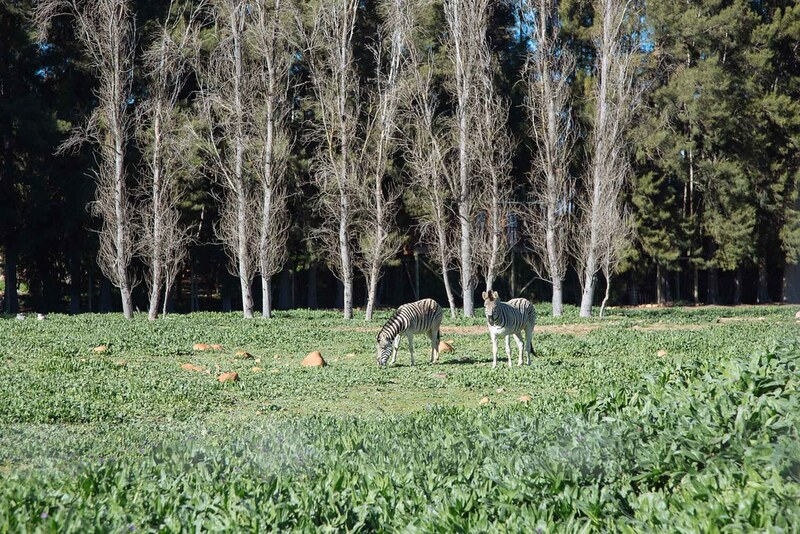 Caught somewhere between a game reserve and wine farm, we could slowly exhale and forget that we ever lived in a city. Just next door we could admire the brown cows grazing in the mild sun. 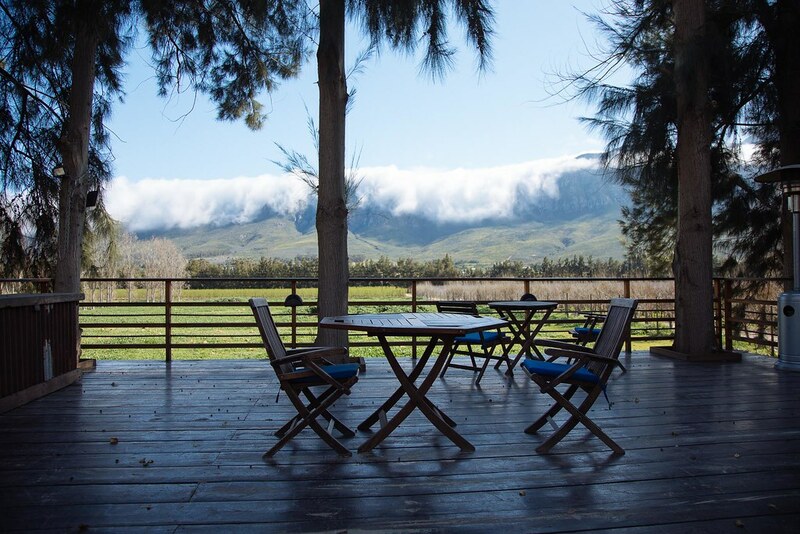 Look out deck in the shade of the trees overlooking the zebra, springbok and wildebeest. Zebra enjoying the Vindoux sunshine. 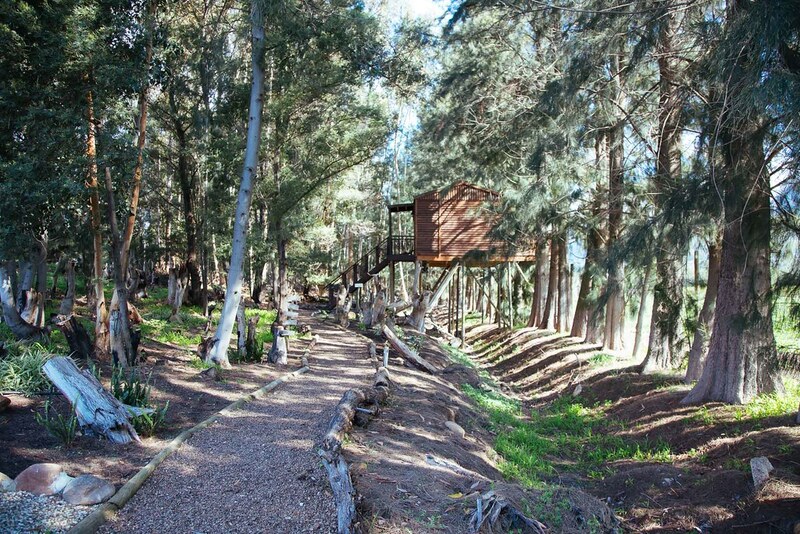 Treehouses for couples tucked away along the garden path. 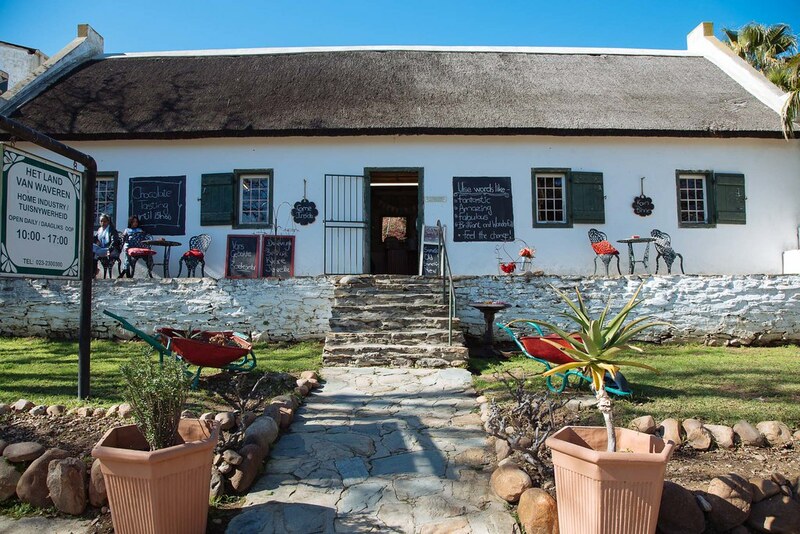 The coffee shop and drinks cafe on the farm. 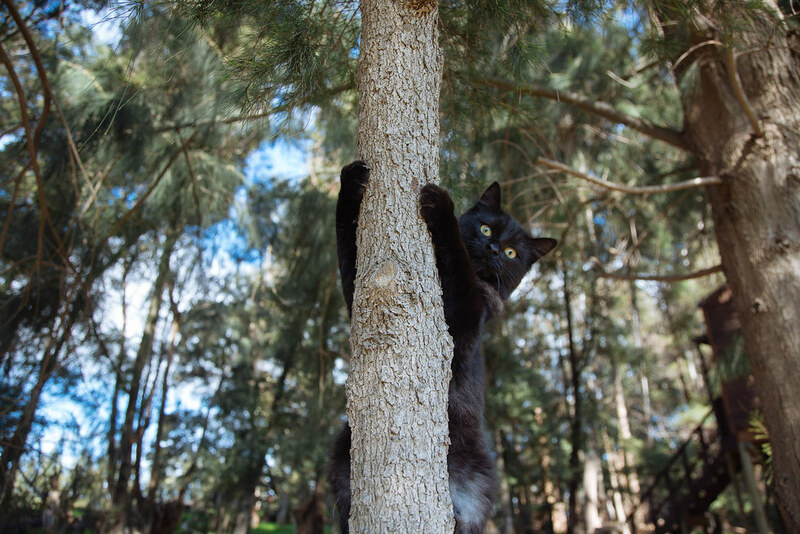 Resident cat following us through the forest. Friends we found on the neighbouring farm. 2. 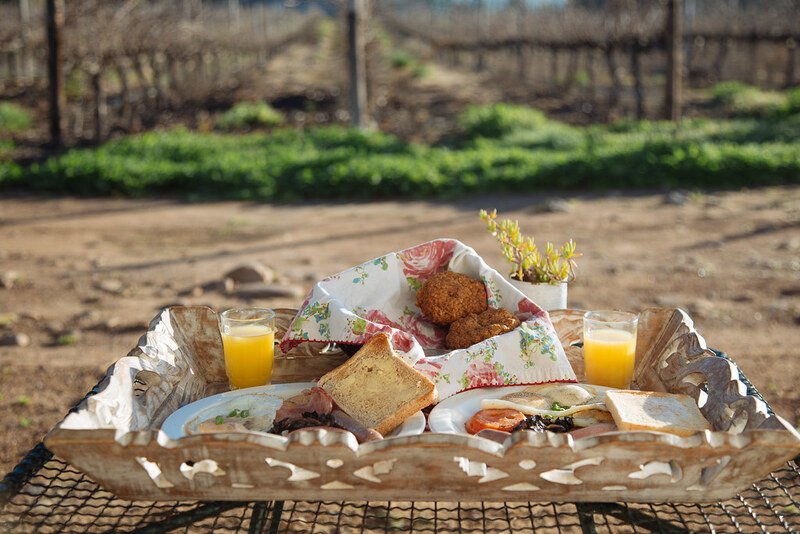 Breakfast on the Stoep. 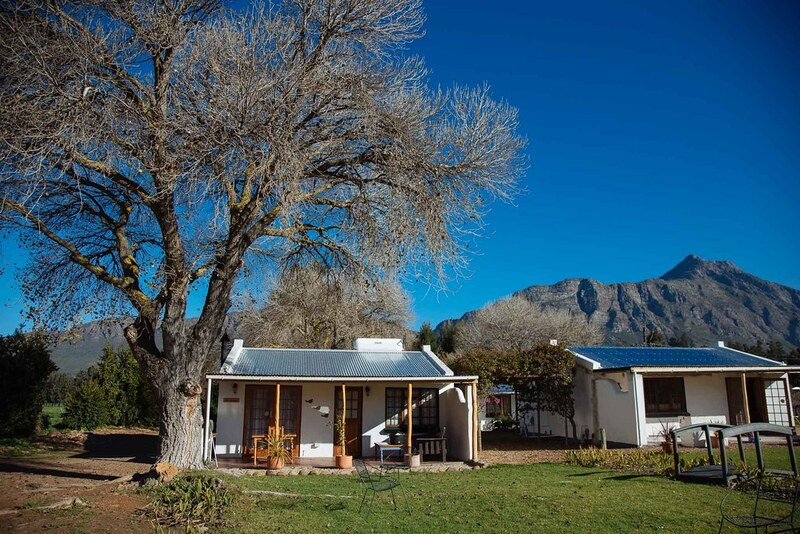 There’s nothing better than waking up to the view of the Wintershoek mountains, sitting down for a breakfast of bacon, eggs, muffins and coffee on your stoep in the morning sunshine. The farm dog came to sit at our feet, Caleb attempted to eat every leaf in sight and day began ever so slowly from our self-catering cottage. 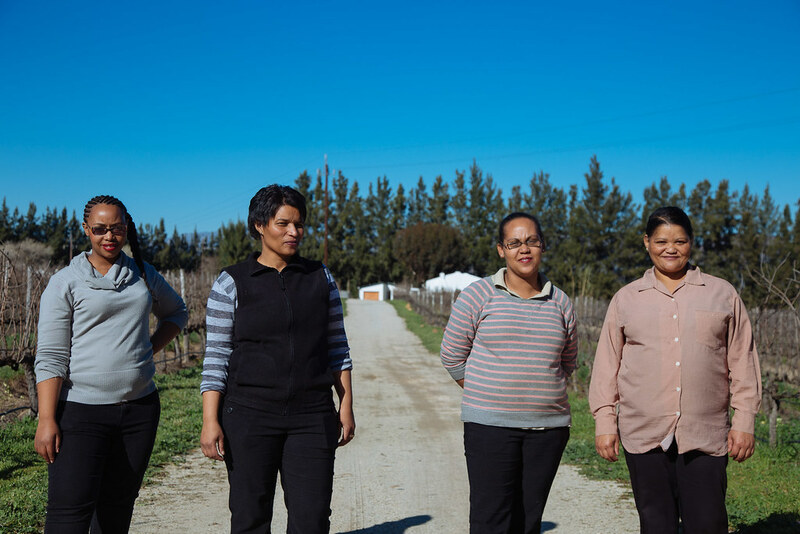 Some of the wonderful staff at Vindoux Guest Farm: Jowene, Lynette, Geraldine and Traai. 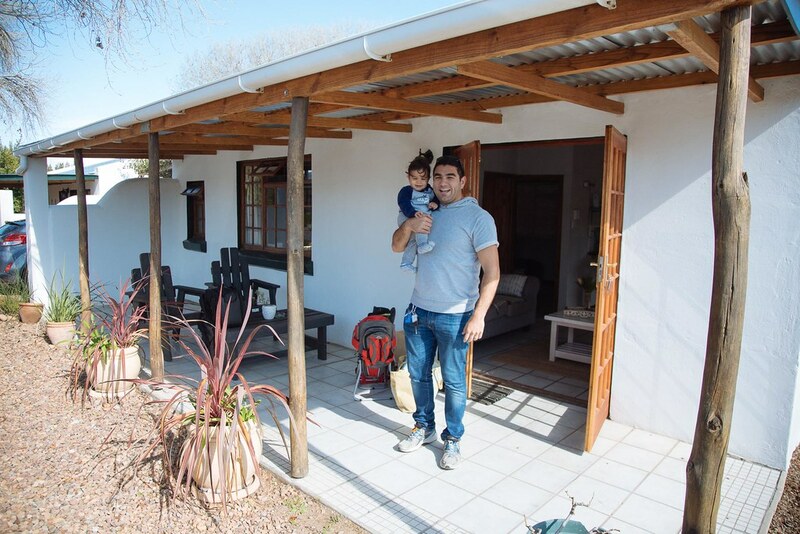 Their self-catering cottages are perfect for small families. 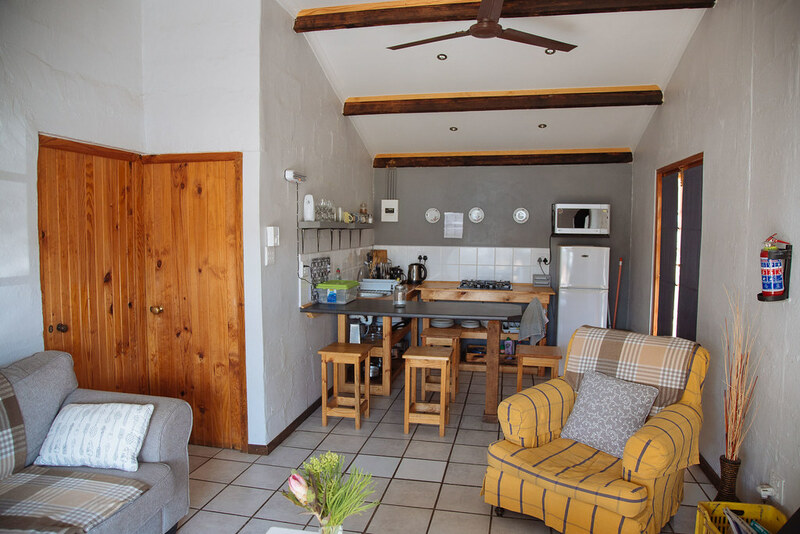 Open plan lounge and kitchen area of our self-catering cottage set with a fireplace and corner bath in the main bedroom. 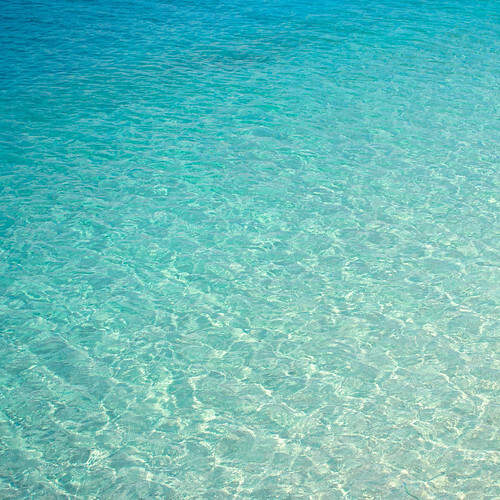 Going in August was one of the best times to visit. 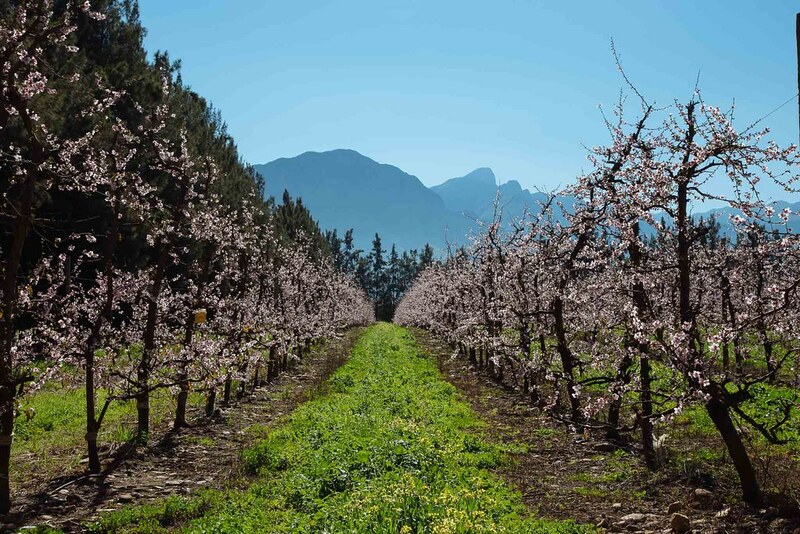 Tulbagh can get scorching during the summer months between November and March, so visiting as the fruit blossoms began to make their appearance was perfect. When Caleb was napping, I took the time to go for a solo walk on the property all the way past the treehouses, game enclosure and all the way to the orchards. Little fruits began to show alongside a few flowers. 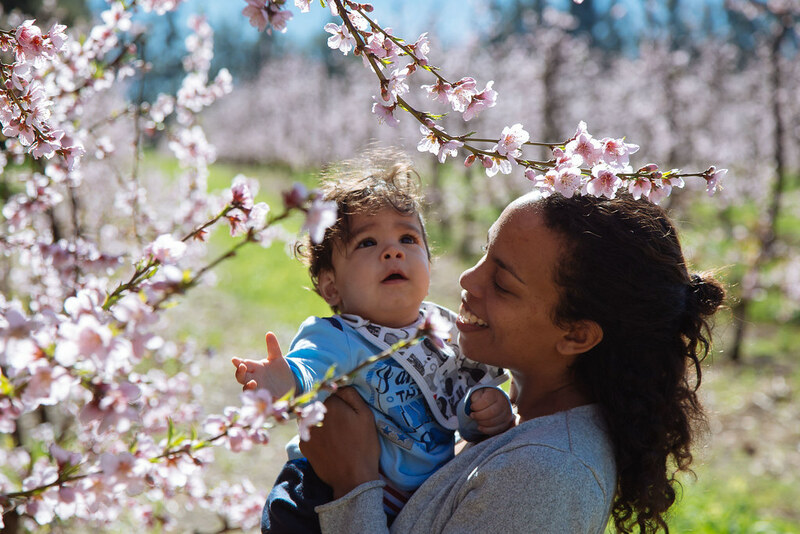 Just across the road from Vindoux, the palest of pink nectarine blossoms sprouting from every branch painting the sweetest of pictures in this Tulbagh basin. Caleb loving the spring blooms. 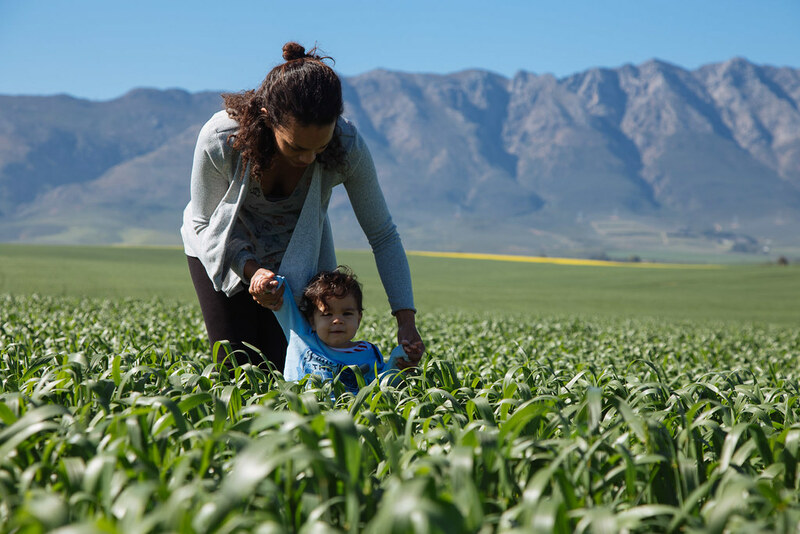 Walking through the fields with our little guy. So much fun to be had as the weather gets warmer. The nights were still pretty chilly here but nothing that couldn’t be solved with a delicious soak in a corner bath and lazing in front of a toasty fireplace. 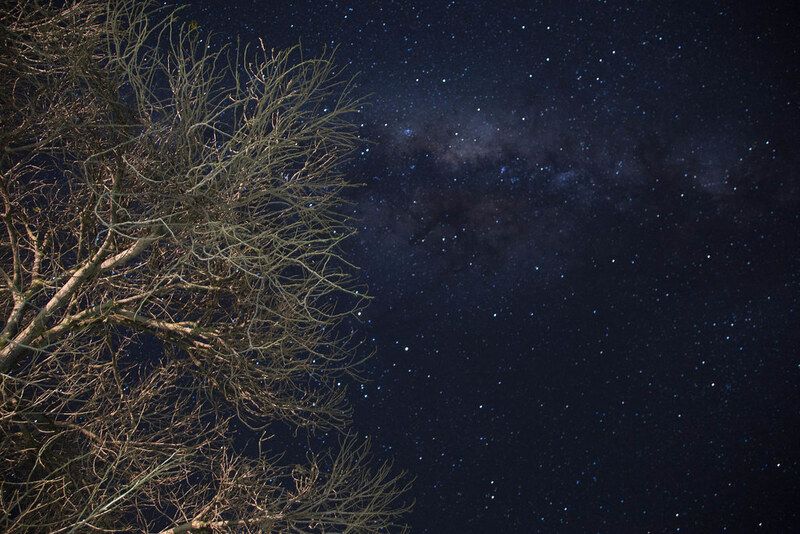 Vaughan braaied beneath the starry skies and captured some of the brilliance that one can only behold outside of the city. The Stars: yet another reason to visit. 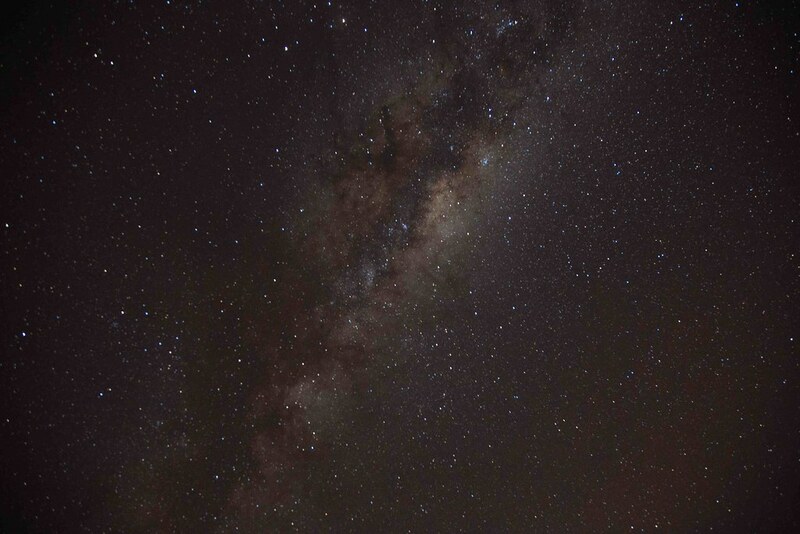 A ‘secret’ stash of stars only visible away from the big city lights. 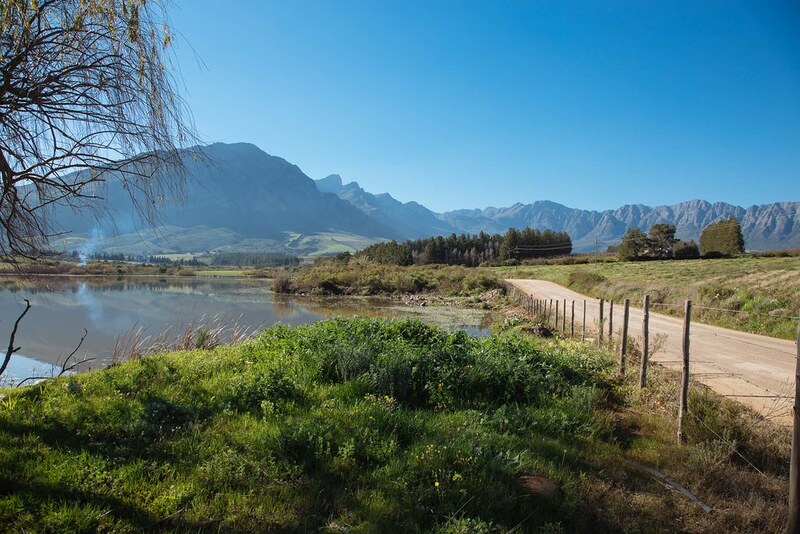 One of the best things to do in the vineyards of Tulbagh is to jump on a bike and cycle your way around. 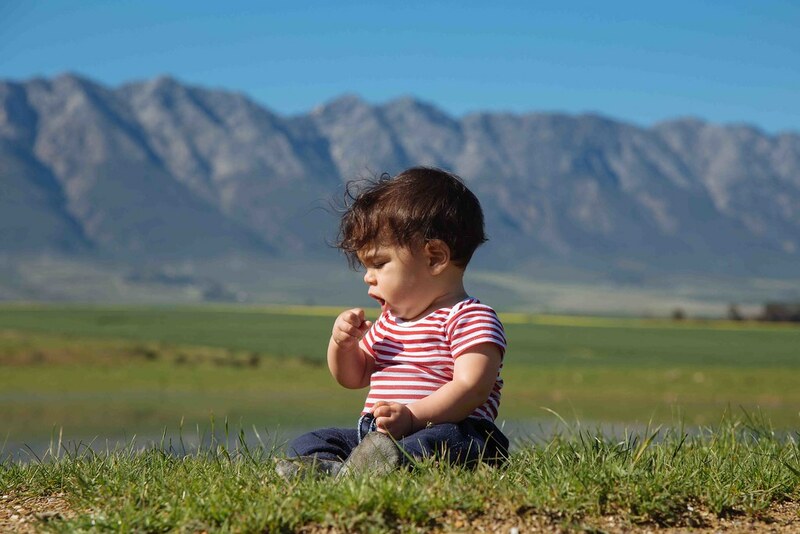 Come late afternoon, we rented bikes from Vindoux, Caleb had his own seat, and cycled down the road into Saronsberg. There’s no traffic and the late light is best when making your way past farm gates, little dams and the stoney statues on the estate. 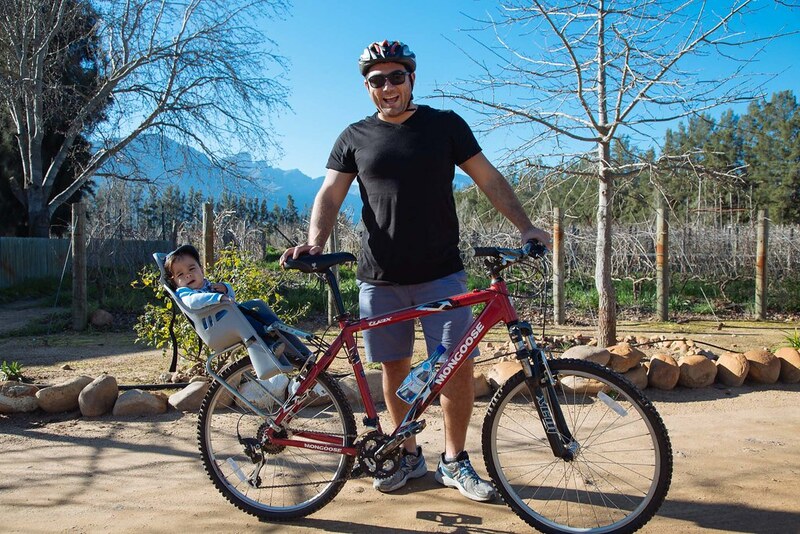 Family biking in the vineyards. 6. Spa on the farm. Time disappeared as we cycled on neighbouring wine estates so much so that I nearly forgot about my spa treatment- a massage. I very rarely choose anything else as massages are my ultimate indulgence and form of relaxation. I recall the start of the massage, the conversational chatter with the masseuse but then nothing until she gently nudged me awake at the end. Always a sign of a great massage when you completely pass out on the table. 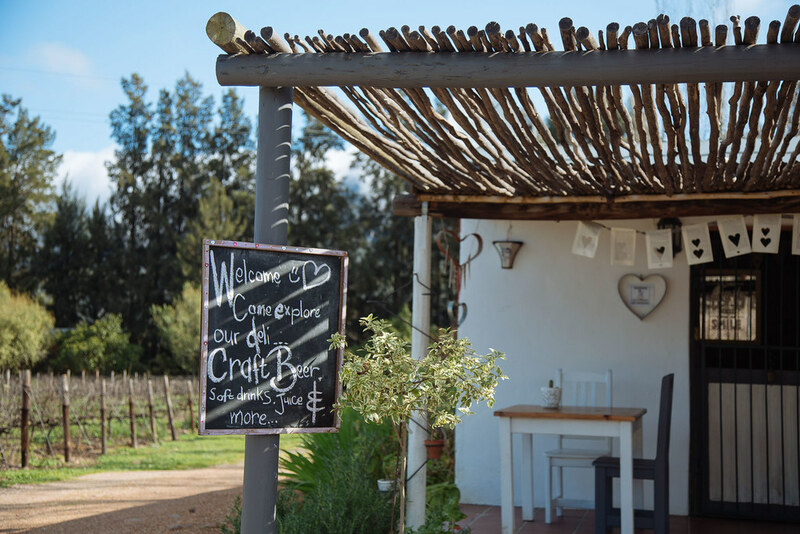 Take a bike or drive to some of the wine farms in the area. 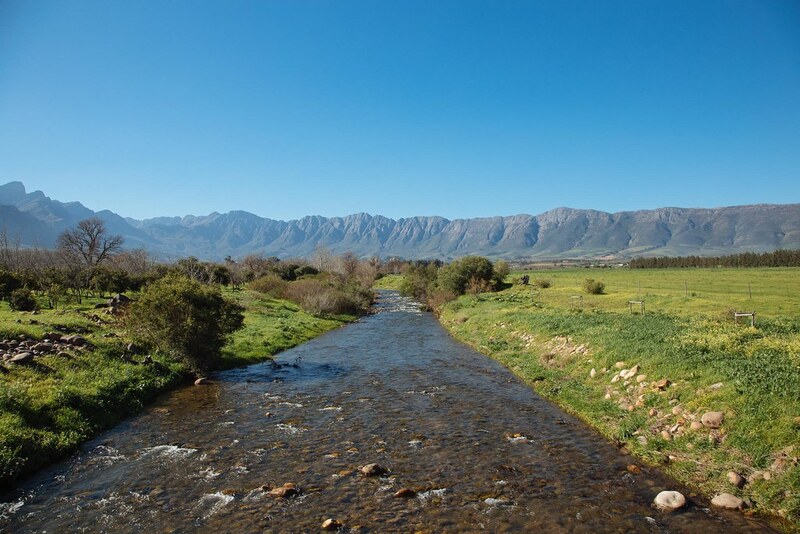 Without even driving into the vineyards, streams, dams and chapels on hills await. 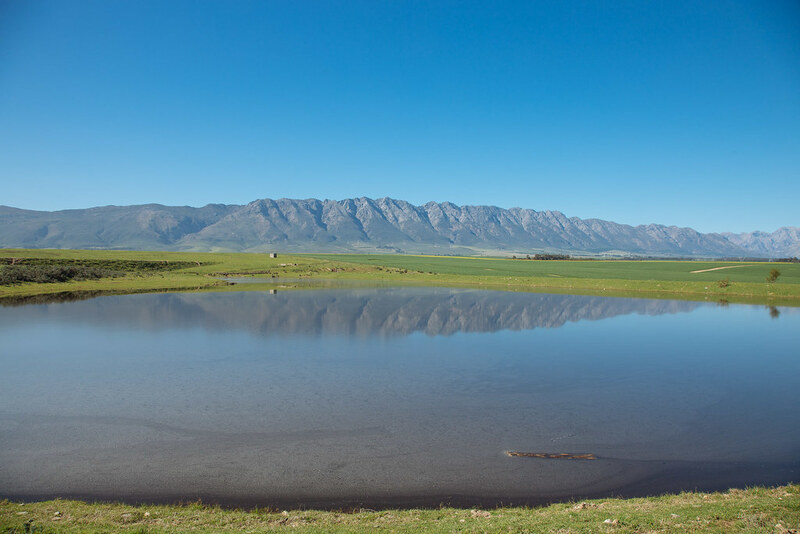 The joy of jumping a farm gate and standing lakeside. 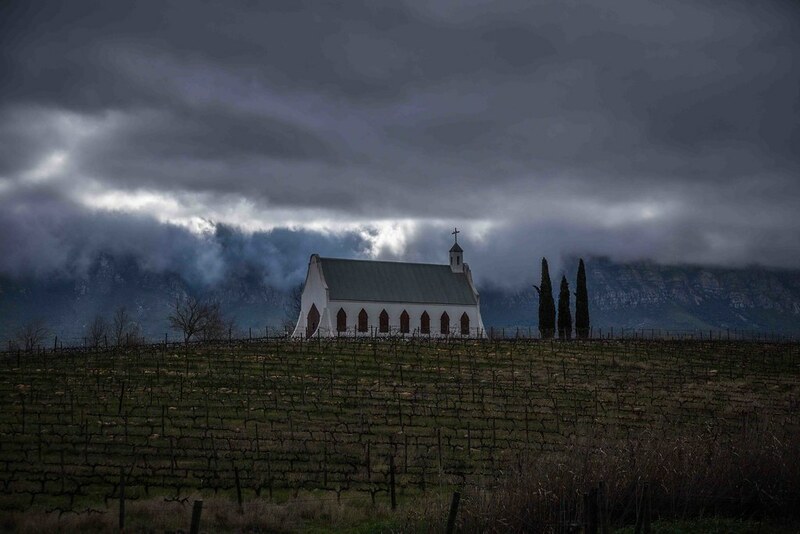 Moody clouds settling in over the chapel on Montpellier. 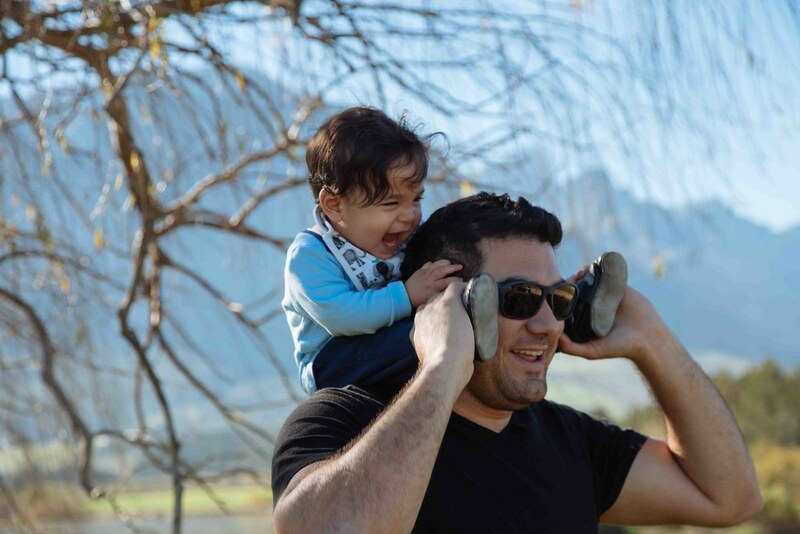 We loved strolling through the streets of Tulbagh; having lunch at the treasure trove of ‘Things I Love’ Restaurant, visiting the gardens and coffee shops along Church Street and admiring the National Monument buildings that are still around today. 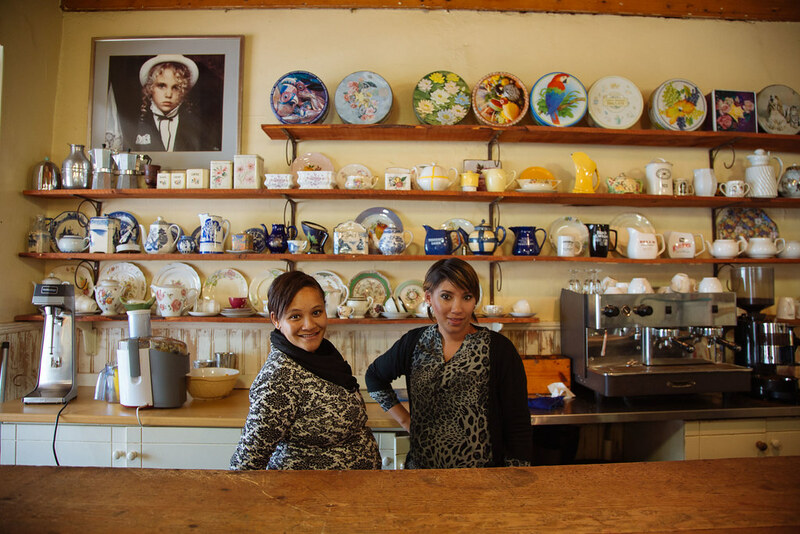 Antique collectibles and sweet country cuisine awaits at the ‘Things I Love’ Restaurant. 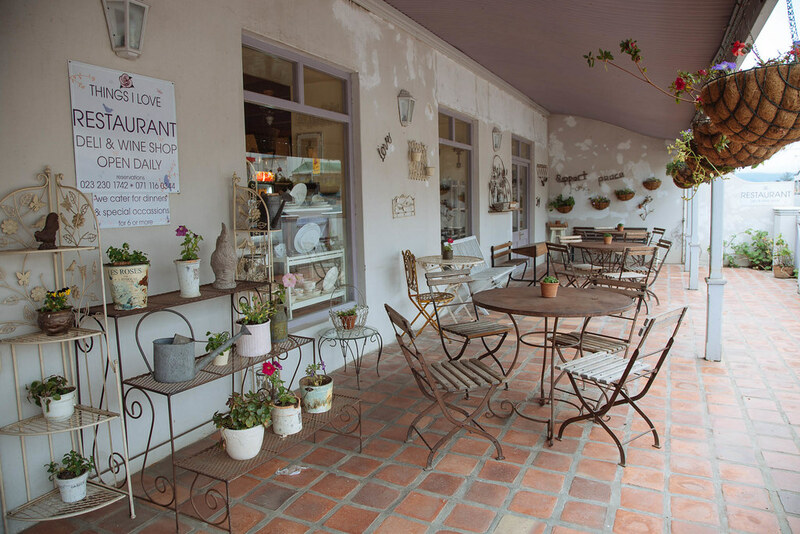 Cape Dutch Style coffee shops, guest houses and restaurants line Church Street. 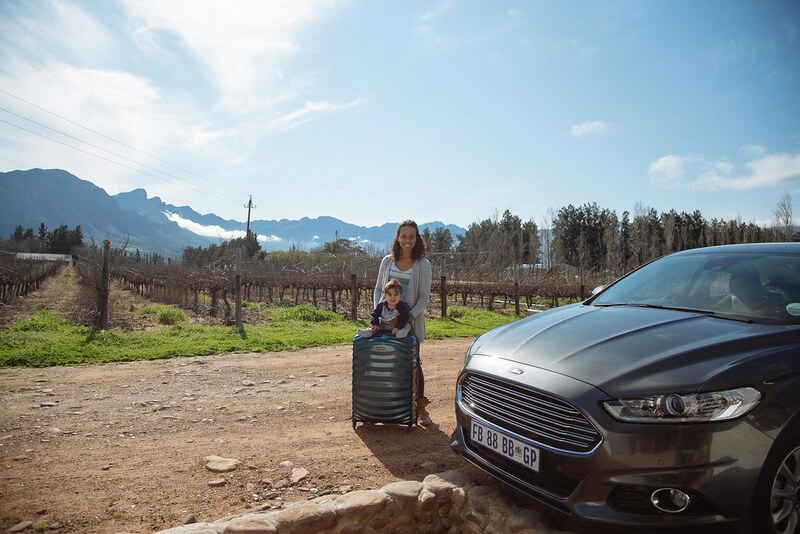 Thank you to Ford South Africa for getting us to our destination safely and in true style. Thank you to Vindoux for making our stay possible. 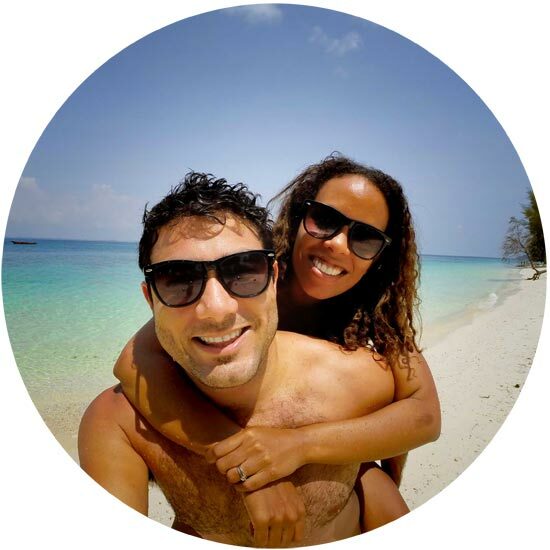 To visit and stay at Vindoux click here: Vindoux Guest Farm.